Claim: The European Scientific Journal, a peer-reviewed academic publication, concluded that the collapse of the Twin Towers and World Trade Center Building 7 on 11 September 2001 was the result of a controlled demolition. 15-years after the attacks on September 11th, the European Scientific Journal, a publication of the European Scientific Institute (ESI), published an article titled “15 Years Later: On the Physics of High-Rise Building Collapses,” in which they analyze the collapse of all three World Trade Center buildings. 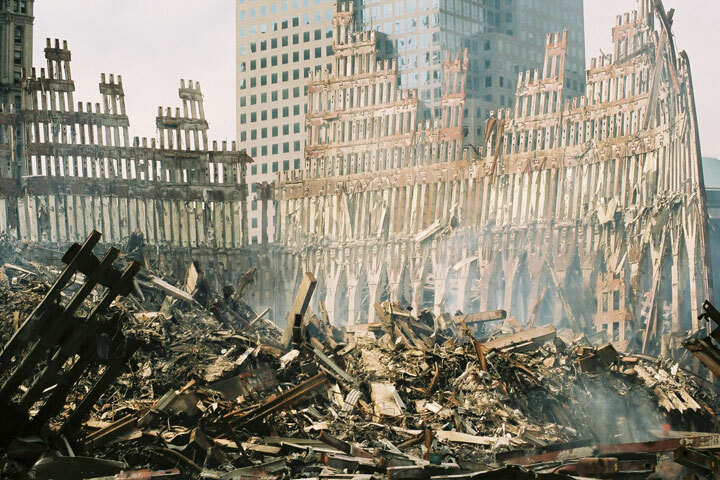 The results of their findings continue to indicate that the WTC towers were destroyed by controlled demolition, and the fact that this controversial topic was covered by a publication that boasts an editorial committee from reputable colleges and universities around the world (despite the article’s disclaimer), can be considered yet another small victory for 9/11 Truthers. [T]he evidence points overwhelmingly to the conclusion that all three buildings were destroyed by controlled demolition. Given the far-reaching implications, it is morally imperative that this hypothesis be the subject of a truly scientific and impartial investigation by responsible authorities. This feature is somewhat different from our usual purely scientific articles, in that it contains some speculation. However, given the timing and the importance of the issue, we consider that this feature is sufficiently technical and interesting to merit publication for our readers. Obviously, the content of this article is the responsibility of the authors. Regarding the recent developments on social media, we would like to inform the public that neither the European Scientific Journal, ESJ, nor the European Scientific Institute, ESI have published content on 9/11 attacks. Jet fuel cannot melt steel beams (This claim is misleading, as steel beams do to not need to melt completely to be compromised structurally). The structural system would have been protected by fireproofing material (similarly, such a system would have been damaged in a 767 crash). Puffs of smoke exploding from below the collapsing towers suggests controlled demolition. (This claim does little to address the simplerexplanation that air pressure from the collapse of one of the largest buildings ever built would have forced air and debris through windows). EPN is a magazine that publishes a range of news and views to stimulate discussion – unlike peer reviewed research which would be published in a scholarly journal. EDP Sciences [their parent company] follows the most rigorous peer review standards for its journals of which EPN is not one. As a magazine, the editorial policy of EPN is to publish news and views, which are sometimes controversial. EDP Sciences recognizes that the article discusses some speculative and controversial issues. However EPN and EDP Sciences believe that the best (and the most scientific) way to settle such issues is to publish them and have an open discussion with all due arguments in which the truth will finally emerge. A counter article is to be published by EPN in the next issue.